Immersed in an international environment at a very young age and after spending her childhood in various parts of the world, which gave her a boundless open-mindedness, Donia Allègue moved to Paris to enrol at the Lycée Saint Louis de Gonzague and later at ESCP Europe. Even within the framework of this very general education, she intuited early that her future career would laiy in fashion, therefore she specialized in luxury goods. After graduation in 2006, she learned the ropes of her trade with Fendi, YSL and Dior but she instinctively knew that her entrepreneur spirit would eventually take over and that one day she would set up her own company. In February 2011, she had a revelation when visiting an apartment in Paris with her mother. The lady who owned the place was wearing a very elegant turban. This was quite an illumination and she saw the turban as the absolute fashion accessory. 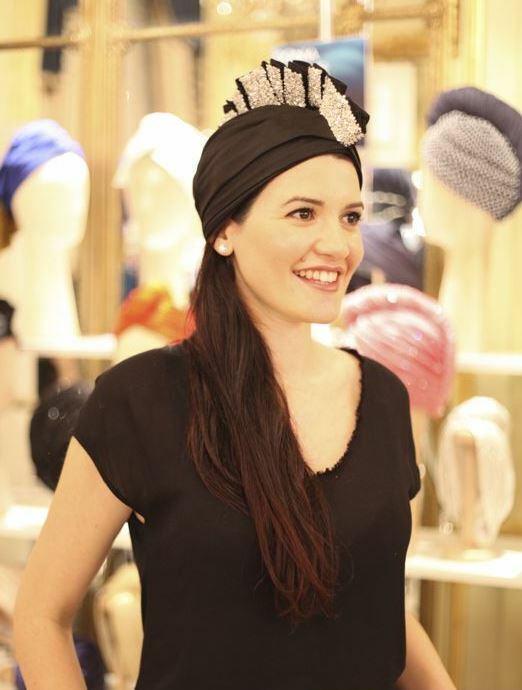 After some research and a market study, Donia Allègue realized that there was no Parisian turban house on the market. 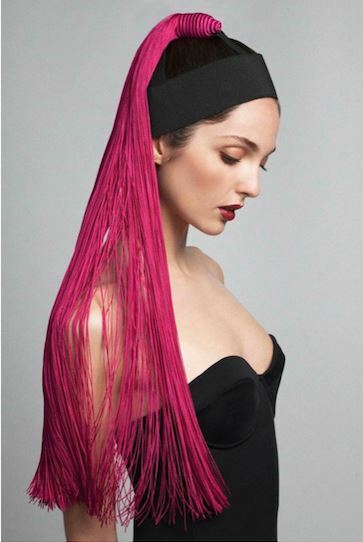 With the support of her family, her clan, as she affectionately calls them, she set up the brand DONIA ALLEGUE Maison Parisienne de Turbans in October 2013. 1. Do you consider yourself as a figure of fashion ? 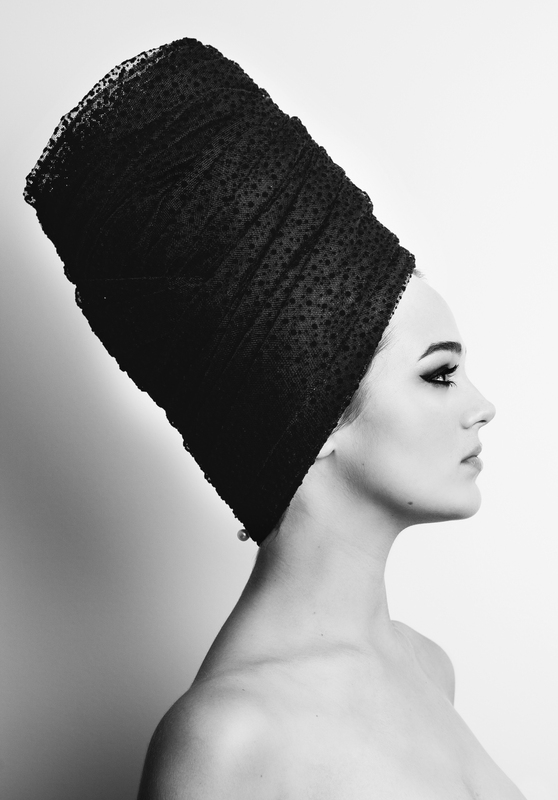 Donia Allègue : It is quite early for me to say so as my brand is still very young, 2 years old… But I can definitely say that I have launched something new when I decided to launch a turban house. The trend for turbans was still latent at that time. 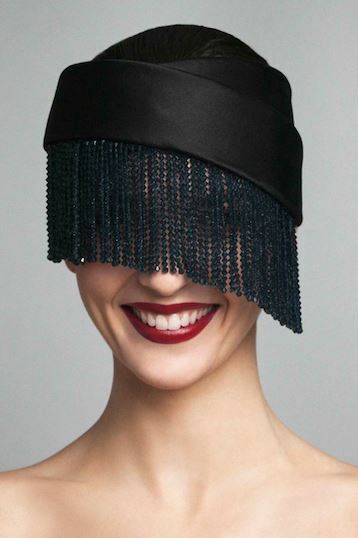 I must admit, with great pride, that my brand is a reference in the fields of millinery turbans. Donia Allègue : With a lot of decency, I celebrate femininity and Parisian chic. Yet not without unexpectedness and contrast: my brand is about gentleness but also insolence, timelessness but also boldness. It is about crystal, silk and pearls but also exotics and Mohawk feathers. I love the contrast between softness and rawness. I would say that my style, as a designer, is unexpected and intense. I address women with personality. 3. 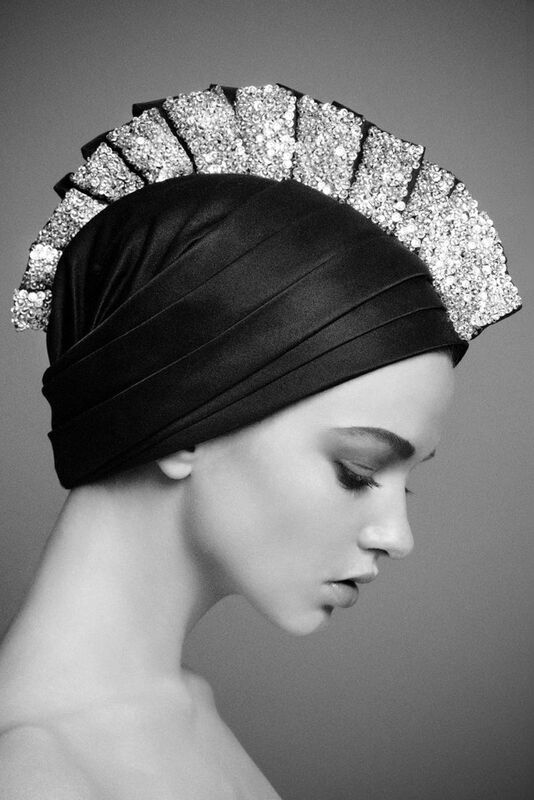 What led you to fashion turbans ? 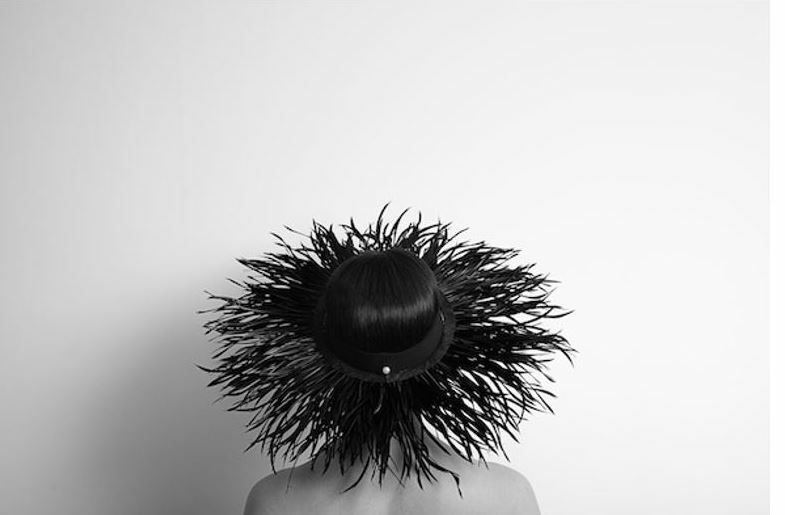 Donia Allègue : Launched in October 2013, DONIA ALLEGUE is a Parisian house of millinery turbans and headpieces, handmade in France. I founded my eponymous brand after I had a revelation, when visiting an apartment in Paris with my mother. The lady who owned the place was wearing a turban. This was an illumination and I saw the turban as the absolute fashion accessory. 4. 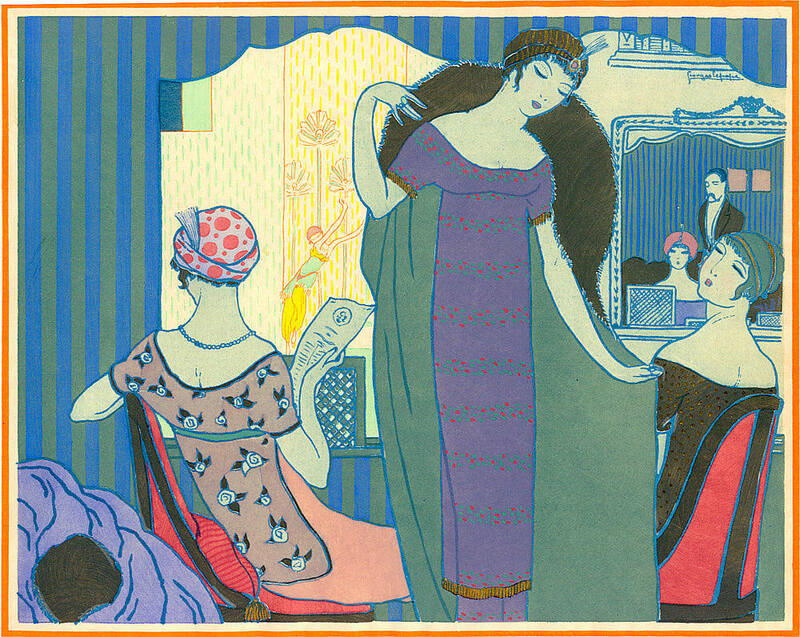 Do you consider yourself as a worthy successor of Paul Poiret ? 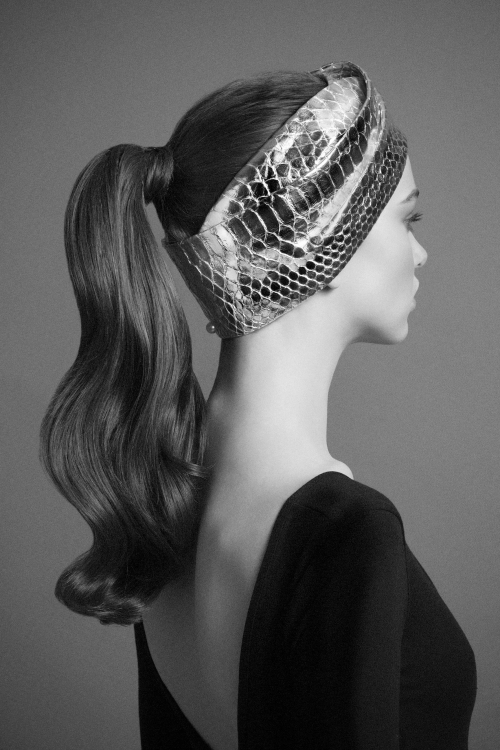 Donia Allègue : On certain aspects, yes : he created a new style by proposing turbans in the feminine wardrobe. At that time, women were not used to wearing turbans but they were used to wearing all kind of head wears. When I started working on my brand, turbans and head wears were present only marginally in fashion. Therefore, we can say that launching my brand was as disruptive in 2013 as his turban collection was in 1911. Also, he celebrated orientalism, which is a great source of inspiration for me. Inspired by Greek shirts or North African caftans, the art of Drape was his signature. It is dominant in most of my designs. 5. How do you feed your inspiration ? Donia Allègue : My creation process is based on my senses : a perfume, music, an image, a material, every little thing which moves me and leads me to the writing of the story of the collection. The unusual thing is that I don’t draw. I am a very visual person : I have very clear images of my creations in mind and then, I describe them in the most precise way to the craftspeople I work with. 6. Did great icons of the golden age of Hollywood make a deep impression on your work ? Donia Allègue : Yes, by their sensuality and their glamorous style. Rita Hayworth and her drape white and gold outfit in “Gilda” when singing Amado Mio or Grace Kelly in Rear Window wearing a Dior “New look” dress. My vision of femininity is strongly shaped by these icons. 7. Why did you choose to focus on turbans ? 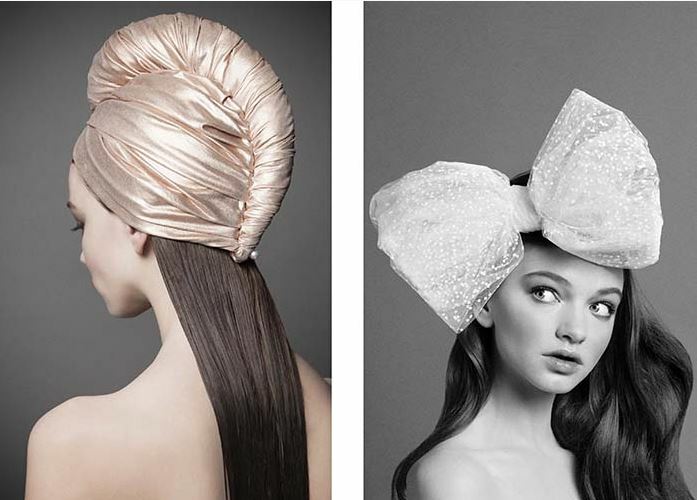 Donia Allègue : Because there is so much to do on turbans ! The variety of styles, materials and ornaments that can be used in a turban is substantial. A turban is more than a hat, it is a head wear. 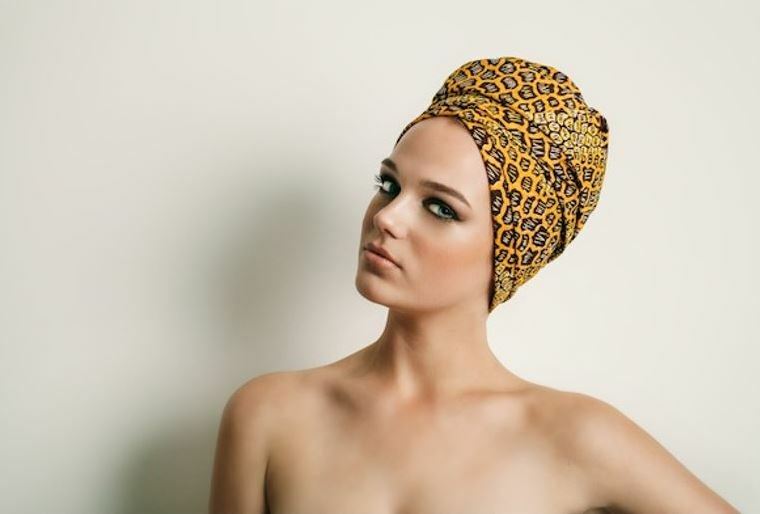 The use of turbans in everyday life is endless: coquetry, replacement of a hairstyle, protection from the weather, replacement of a veil or classic hat at a wedding ceremony (…). And it is strongly coming back to fashion. Donia Allègue : Since the launch of the brand, I have launched 5 collections. 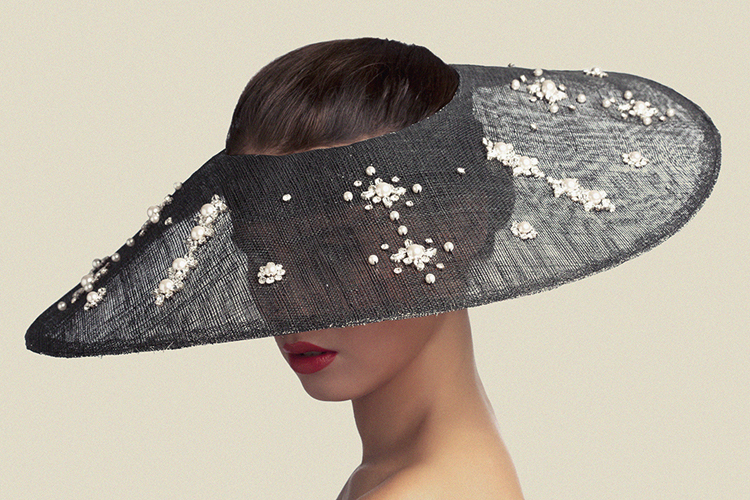 The first one, the Spring-Summer collection 2014 was “Gatsby, a trip to Africa”. Since the age of 15, I have been fascinated by the masterpiece of American literature “The Great Gatsby”, which came naturally to me as a source of inspiration for my very first collection. Nevertheless I decided to give the tragic end of the novel a new twist with the two heroes, Gatsby and Daisy, eloping to Africa to live their love. In the background, the two lovers, chic as usual, having a glass of Champagne in a tent and contemplating a wonderful African landscape at sunset. 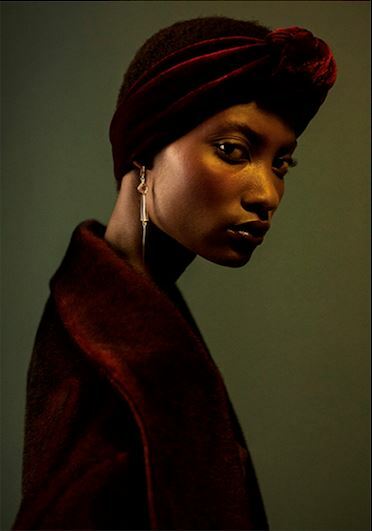 This unique idea gave birth to the Spring/Summer 2014 collection: elegant and sophisticated turbans combining the luxurious and opulent lifestyle of the twenties with the majesty and amplitude of Africa. I played with the contrasts and offered very feminine items with noble material : leather, satin, silk, Swarovski crystals, embroideries, jeans or Vilsco wax adorned with pearls, feathers or veils. Then the Fall-Winter 2014 collection is a back to the eighties. In this collection, I have decided to review my classics. 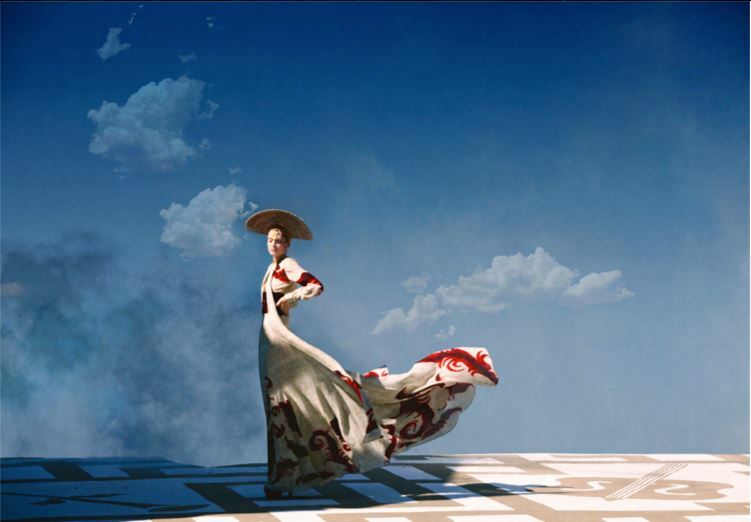 It was an ode to the eighties : from angular shapes and silver-tone color like Thierry Mugler’s style, to the black and white of Herb Ritts’ photographies and Guy Bourdin’s pompom. Without forgetting the inspiration coming from the giant bow of Whitney Houston in her clip “I wanna dance with somebody” and “How will I know”, which quickly became a key piece of the collection. I have added to this, a mix of colors and materials inspired by Madonna, who is a timeless icon and a true inspiration. A pink dress from “Material Girl” and a black perfecto from “True Blue” cover, allowed me to revive the flame of that time. 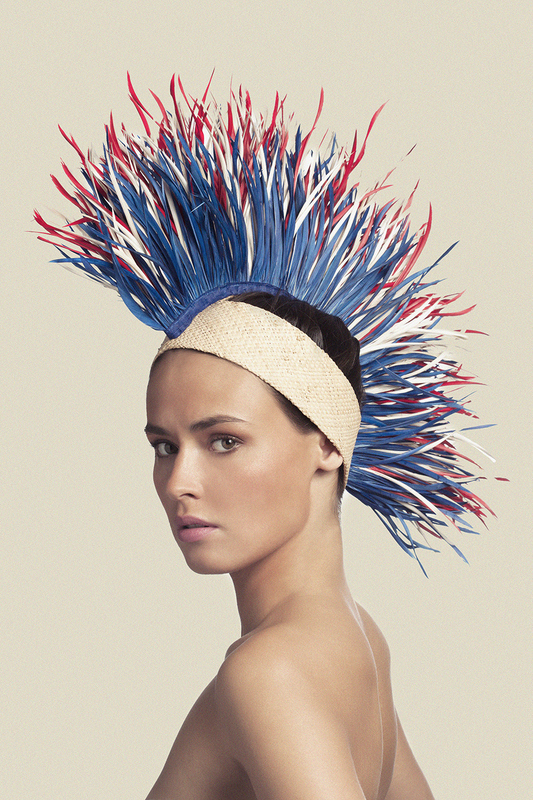 The styling and the lightness were illustrated by the use of the feather. 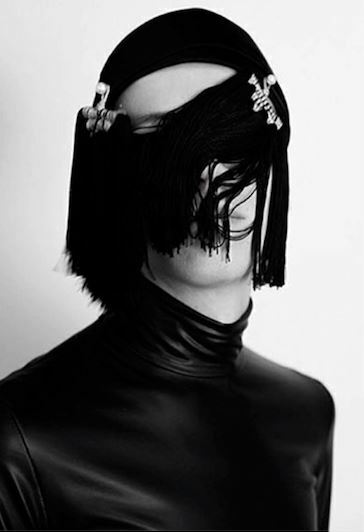 But also the craziness and the boldness of the leather epitomized a fearless generation. The Spring-Summer collection 2015 was about the French Riviera : the blending smell of pines and sea, the warm sand, the parties, the elegance and the stars. I have delivered an ode to nature, lightness and freedom where the sixties and the seventies played a central role framed by the beauty of the actresses of these years. I do believe that these years were synonymous of happiness and love : legendary couples that have become timeless myths on the Côte d’Azur. Alain Delon and Romy Schneider in “La piscine”. Serge Gainsburg and Jane Birkin dancing by the port of Saint Tropez. Or Grace Kelly and Prince Rainer making the Rocher the most glamorous place. Brigitte Bardot with Gunther Sachs nonchalantly letting themselves go while witnessing the tuna-fishing netting. What all these icons have in common is rare elegance. I have played with the interpretation of these years and reviewed them under the light of the year 2015. 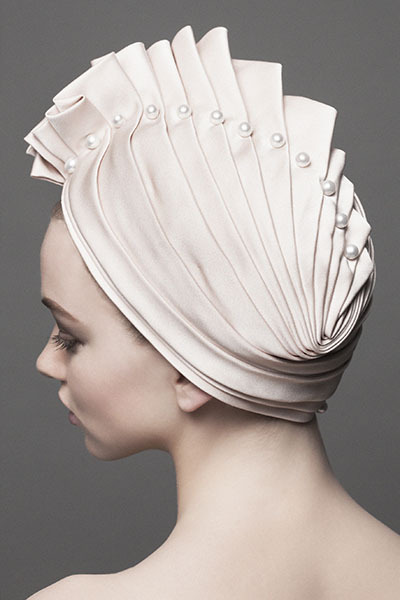 Turbans and bandanas were made of new materials such as the raffia, originally used exclusively for hats, Now I have adorned them with delicate pearls and embroideries recalling the trendy bathing suits of the sixties. I have added new shapes, bandanas were larger and able to fully cover the head for a modern, chic and sporty look. The collection is an homage to natural femininity and French elegance. The Fall-Winter collection 2015 was about the seventies : the orientalism of Yves Saint Laurent and his bewitching Opium, the Studio 54 craziness, the big icons of this period. Playing with the strong codes of this wild decade, I have proposed a sensible and provocative collection full of paradoxes like the fashion icons of that time : the committed Bianca Jagger, the androgynous Jane Birkin, the icy Catherine Deneuve and the Californian Lauren Hutton, 4 women, 4 styles… but it’s mainly Miss Jagger and her extraordinary personality who fascinated me. A free soul, she got married, with a turban, to the greatest British Rock star, while she was pregnant. Believing that nothing is impossible, she started fighting for the protection of human rights and became an international renowned lawyer. Until today, she stands as a true model of strength & style to which I paid tribute in this collection through various mixes, noble materials as always (velvet, silk, wool…) and warm colours (black, navy blue, burgundy, red, fuchsia, brown…). Headbands, turbans, crowns and headpieces were embellished with details such as fringes in crystal pearls, pendants, feather crests, leopard patterns and even a long crocodile spine. 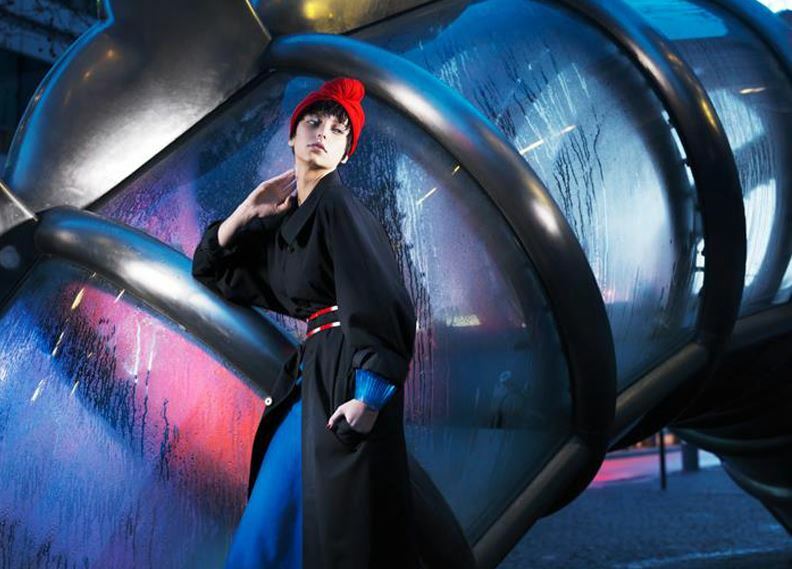 The collection offered many references to the photographers of the seventies : Guy Bourdin and his unique combinations of colours, Lee Friedlander and his work on the gaze. My last collection theme was “A Night in Livingstone » and Africa was my source of inspiration : landscapes, colors, culture, songs and music. Before sunset, an ounce of madness spreads all around the city of Livingstone, which is at the junction of Zambia, Zimbabwe, Botswana and Namibia. Hence, I have offered a glamorous and sensual collection. I have played with the colors and materials ending up with pieces like turbans made of wax, satin stitch and lurex. The forms are extravagant and for the first time I have offered the high spinned turbans. 9. Who are your current muses ? Donia Allègue : I am not sure I have muses. But I have the chance to be surrounded by highly inspiring people, starting with my family. 10. How would your describe the “Donia Allegue” woman ? 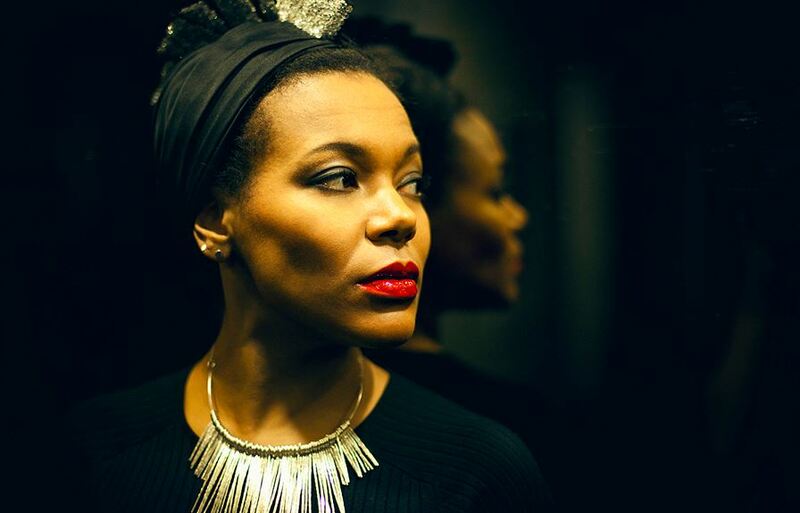 Donia Allègue : The Donia Allegue woman is aware and proud of her uniqueness. She has personality and isn’t afraid of being herself. She has strong principles and beautiful values. 11. Does the Art Deco period influence your collections ? 12. From Diane Kruger to China Moses or Beyoncé, are you the new heartthrob of celebrities ? Donia Allègue : Well I hope so. I am very lucky to have this exposure given than that my brand is still very young. 13. Where do you sell your collections ? 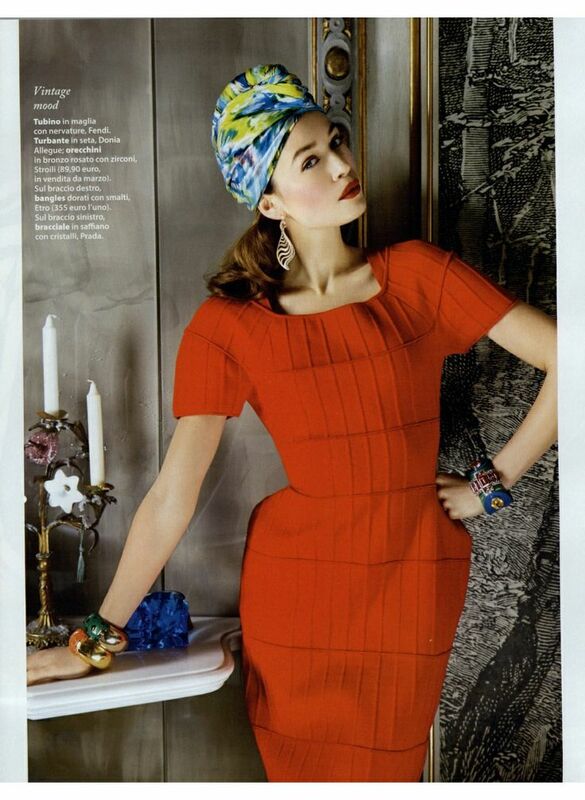 Donia Allègue : At the Printemps Haussmann, Harvey Nichols Riyadh and soon online. 14. What are your future plans ? Donia Allègue : Opening a point of sales in Paris. The news will come out very soon.